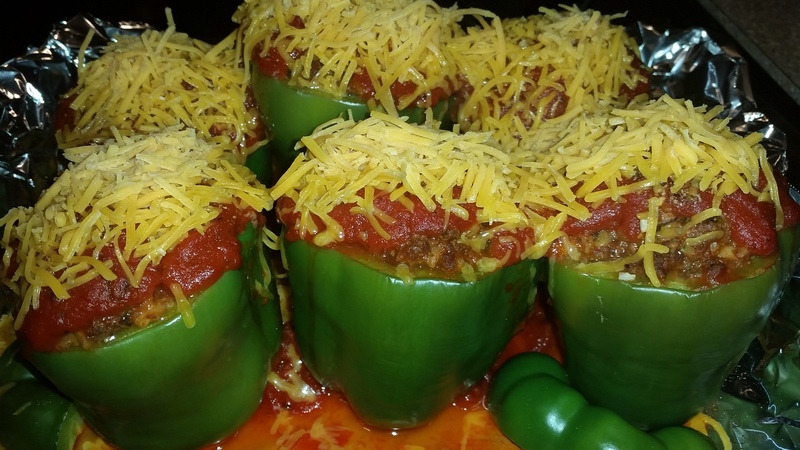 This recipe will yield 6 stuffed large bell peppers and you will have enough meat left over to make up to 5-6 burritos. You can prep for 2 meals at once or you can cut the recipe in half. It’s that easy. 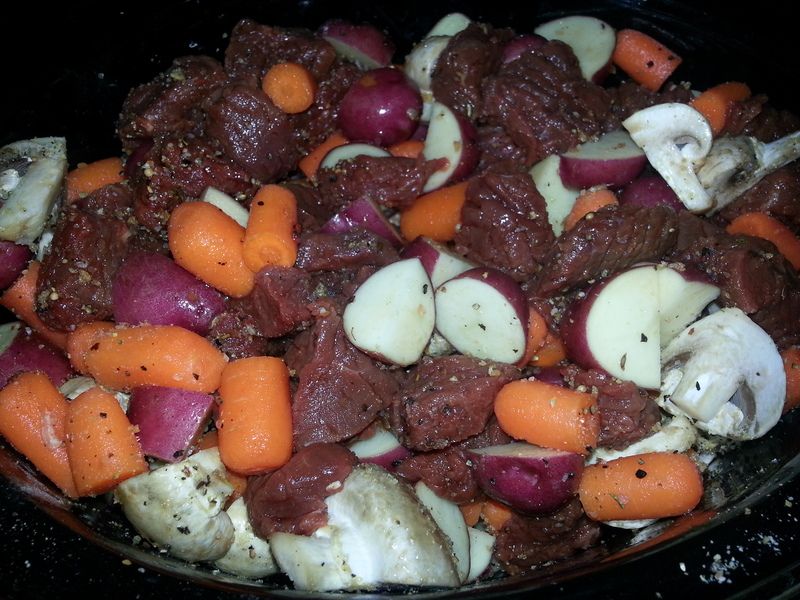 Preheat oven to 350 F. In a large skillet you will begin to brown the 2lbs of venison over medium heat. You may want to add just a dash of extra virgin olive oil. Dice up the small white onion and mix it in with the venison while the meat is browning for added flavor. Add each of the seasonings to the meat while it is cooking and chop up the whole garlic clove to add to the mix as well. Once the meat is almost half way cooked go ahead and add the 8 oz of Portobello mushrooms. Pour 1-2 cups of the mushroom sauce over the mixture, just enough to keep the meat from becoming dry. Mix in 2 cups of the cooked brown rice. Reduce the temperature to medium low and let simmer. While the mixture is simmering fill a large pot of with water on medium high heat that you will use to soften up your peppers. Carefully slice just the tops off of each pepper. Thoroughly clean out the seeds and rinse each pepper. I like to utilize the entire pepper and dice up the tops of the peppers you removed and toss them into the skillet. After you have prepped the peppers place them into the pot of very hot water for about 5 minutes or just until they are warm to touch and the skin has softened. Carefully remove the peppers and fill each one with the meat mixture as pictured above. Place the peppers into a deep baking pan. Once all peppers have been placed into the pan you will cover them with the remaining spaghetti sauce. Place the pan into the oven at 350 F for 15-20 minutes. Once the peppers are cooked you can top them with shredded cheese. Cheese is optional. 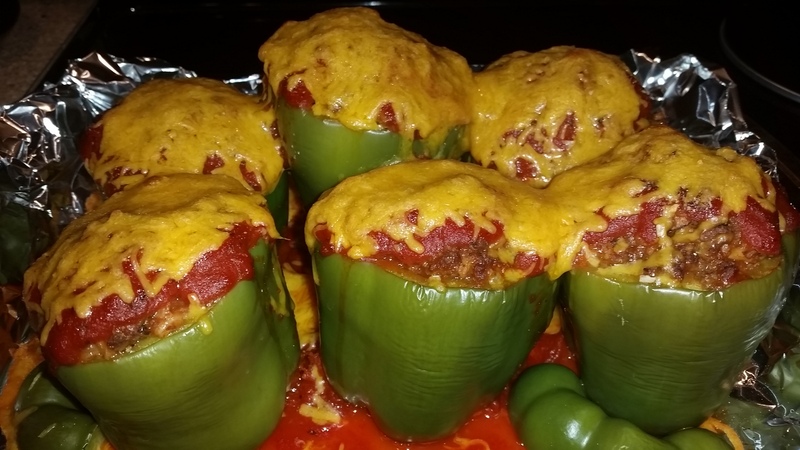 There are many variations of stuffed peppers but this is definitely one of my favorites. You should have quite a bit of the meat mixture leftover. As mentioned before I like to add this to a warm burrito shell along with some fresh avocado, tomato slices a dab of sour cream and my favorite hot sauce. This easily doubles as a second meal that you can quickly throw together the following day. What sight is right for you? There are so many different sights on the market to choose from. Finding the right one can be challenging. Over the past few years I have tried several different sights. 3 pins to 5 pins and I always felt like there was something missing. Admittedly the 5 pin sight was the way to go for me. Additional yardage markers came in handy to really get dialed in. Setting each one up was always a task though. It never seemed like I could get my 5 pins to sight in high enough in the housing to utilize all of the pins though. Move the pins, move the pins and them move them some more. There had to be an easier way to get an accurate setting on my bow with half of the work involved in sighting in each individual pin. One thing I had noticed with the multi pin sights is that the different color pins seemed to be a bit distracting and certain colors were more visible than others. You can pay extra to have your pins all one color but with the money you put into a quality sight why should you pay more when you can just buy one that fits all of your needs? I had heard several people talk about different sights on the market including the one pin sights which intrigued me. That is what began my research on the one pin and how they worked. I was very hesitant about single pin sights because the thought of having only one pin honestly scared me. How does it work? How hard is it set up? How accurate can it be? After months of messing with my newest 5 pin sight I was having frustrations and to top it off the lighting mechanism on mine had quit working for the second time and it wasn’t even hunting season yet! One week before season opener I made the crazy decision to take off my new sight and give this one pin sight a try. Lots of deliberation went into this and I landed on a sight that I had read great reviews about as well as had many other bow hunters tell me they were using with great success. I started asking around about the set up process each person I spoke with said it was a really simple process. That was to be determined. I honestly thought they were pulling my leg. It really cannot be that simple. 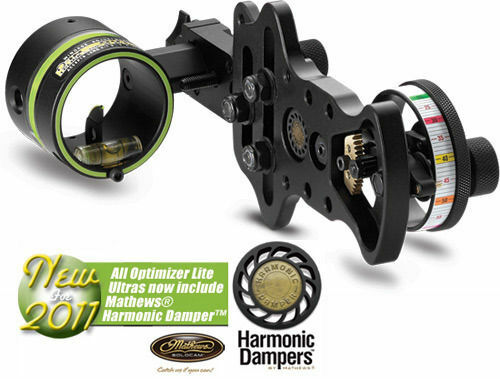 So I took the plunge and went with the HHA Sports Optimizer Ultra. I couldn’t wait to get the package open and see how this sight worked. I started reading the directions on the set up and it truly seemed to simple. Mounting the sight on the bow was a breeze. Another thing I found super helpful was HHA’s website that is very user friendly and provides directions to all of their sights along with helpful hints. You have two options when sighting in your bow. Dial it in at 20 yards and 60 yards or 20 yards and 40 yards. For the most accurate settings dialing in at 60 yards is suggested but not necessary. When bow hunting I choose not to shoot past 35 yards in any setting so I went with the 20/40 yard set up. Starting at close range I made sure my housing was where I needed it. Sighted in at 20 yards using the sight in tape that is preinstalled on the dial. The dial is located where you would normally move your pins up and down. Instead of moving pins and moving pins like I mentioned before you simply turn the dial with ease and the housing moves the pin up or down. Finally a sight that doesn’t require me to break out an Allen wrench every time I feel something is off. My problems might be solved here. Once I was sighted in at 20 yards and felt good about my placement and grouping I marked the sight in tape on the dial exactly where the dial marker was at during my final placement. Next was to move out to 40 yards. I started by doubling the count from where I was at since I was doubling my yardage. This proved to be pretty close to accurate but still took some minor adjusting. Once I had a good group going with my first few arrows I was in awe at just how accurate the sight was. 40 yards and I was slinging bulls on my first three arrows. Needless to say I was hooked immediately. Not only was this sight easy to set up but it was deadly accurate. Having only one pin to concentrate on during my shots gave me more confidence in my shooting ability. This new sight made me fall in love with my bow all over again. Well it was time to make this sight official and replace the sight in tape with the actual yardage tape. Once that was set in place I knew this sight was going to be game changer for me. When learning to judge distance my dad always told me to get settled in to wherever I would be sitting and sight in on everything I could within ethical shooting distances so I knew where I needed to be when it came time to make my shot. Keeping that in mind I knew this would be an easy adjustment and make bow hunting a lot less unnerving. Whether you are a bow hunter or not this sight is great for accuracy. With a quick turn of the dial my bow is set to the exact yardage I need and now all I have to do is aim and take a slow deep breath, exhale and let my arrows fly. If you have been in the market for a new sight or maybe you are just considering trying something new I highly recommend checking out HHA Sports and see their full line of sights to find the one that is right for you. Recently I decided to upgrade my compound bow after nearly a year of going back and forth on what I should get. The best advice I can give you is to go to a professional. Find a local archery shop that you have researched and comes highly recommended. There are a lot of people who can provide you with information regarding archery but you need a highly trained professional to make sure that you make the right purchase. You can cut corners and try and save yourself money by buying online but trust me when I say you are doing yourself no favors at all. Maybe up front you save a little but who is going to set your bow up when it arrives? What is that going to cost you when you have to take it somewhere? Who will set and determine your draw weight? What poundage are you going to be shooting or do you even know? Are you buying a bow that fits you? Is it right for what you are wanting to do? Is the warranty voided if you buy online? Just a few things you need to consider before making that purchase. Check out your local archery shop. Speak to a professional. Have them fit you for a bow so you know exactly what you need. Find out about the latest equipment on the market. Be informed and make a informed decision because this is a big purchase. Another thing to consider is how serious you are about the sport. 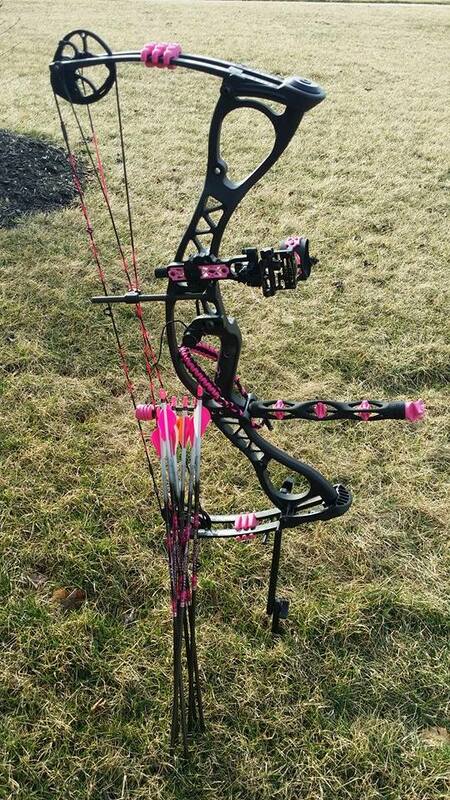 Bows can range from $200 to $2000 or more depending on what you add or change out on your rig. You can upgrade almost any aspect of your bow. Are you wanting to get into the sport of archery or primarily going to use the bow for hunting? These are all deciding factors on what bow might be right for you. Personally I went with the Hoyt Charger Vixcen because I fell in love with it. I loved everything about the bow from the way it felt in my hand to the way it looked. This bow just met my needs for bow hunting with its incredible speed, accuracy and quietness. In my case I changed out the stabilizer, sight and hand sling right from the get go. More upgrades to come too! I found a trusted professional that I go to for all of my archery needs. They set up everything on my bow all the way down to fitting me for the proper arrows. Safety can never be overlooked and having a professional on your side is always in your favor. This recipe will light you up like a Christmas tree! 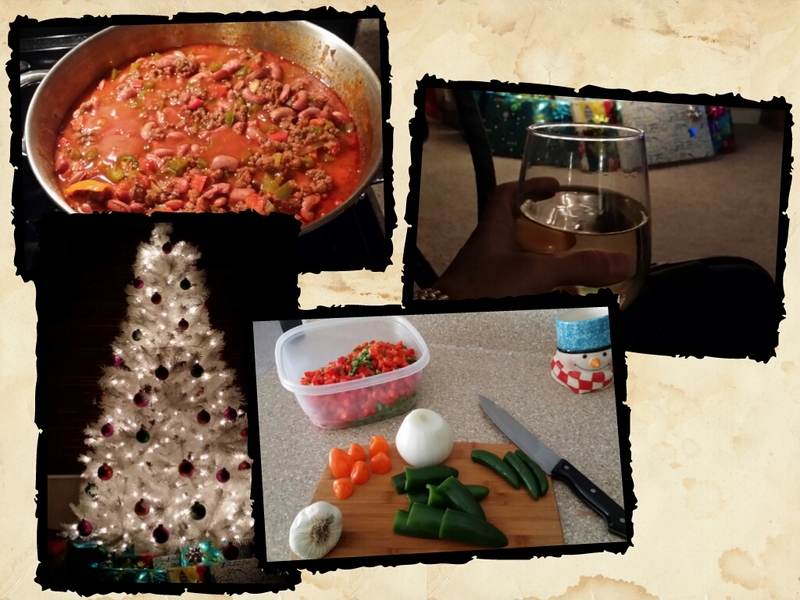 There are a million ways to create a great chili. This one is not for the faint of heart. You may want to wear gloves when preparing this dish to avoid burning your skin or eyes later on. Don’t learn the hard way. Trust me on this. Chop all peppers into small pieces. With the Habanaros you may want to just half them and sauté later with the meat. Do the same with the Onion unless someone you’re cooking for doesn’t like them then you can puree it with some of the tomato juice. They’ll never know. Reserve a little for the side to sprinkle on top when you’re ready to eat. In large cooking pot slice half the garlic cloves and heat over medium heat with 3 TBSP Olive Oil. Once the garlic is starting to sauté add in the venison and sausage. Cook over medium heat until almost brown. Slowly add in some of the Peppers and tomato juice to get the heat going. Generously salt and pepper meat while adding in the Cayenne Pepper and Chili Powder. Continue to add in the remaining Peppers, garlic and onion as well as spices and tomato juice until your pot is full. Add both packages of kidney beans and stir. Turn to medium-low and cook for 2 hours or until beans are cooked completely. Stir frequently. Spice it up a bit tip: Top chili with Shredded cheese and remaining raw Onion. Add a scoop of sour cream to mix it up. Preparation of your bounty and ensuring that your game was field dressed and processed properly and promptly is essential for great tasting Venison. Any sized Crock-pot based on the size portion you will be cooking for. Vegetables (Small bag of red potatoes, small bag of carrots, 1 package of baby portabella or white mushrooms. You can use whatever vegetables you prefer. Mix it up a bit. 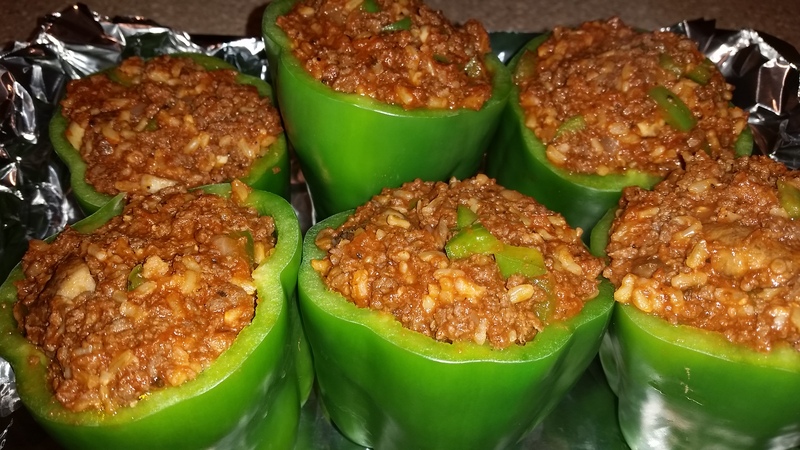 Try using celery and your favorite peppers and onions. Don’t go overboard on ingredients unless you are using a large slow cooker. 1- 2 cups Beef broth and/or Cream of Mushroom soup. Season meat and vegetables generously. Always important not to salt too much but don’t be afraid to use seasonings that are not high in salt content. Once all of your ingredients are in and stirred, place the lid on your Crock-pot and turn on High for 4-5 hours depending on how well done you prefer your meats to be cooked. Who loves hunting in the snow? I know I do!